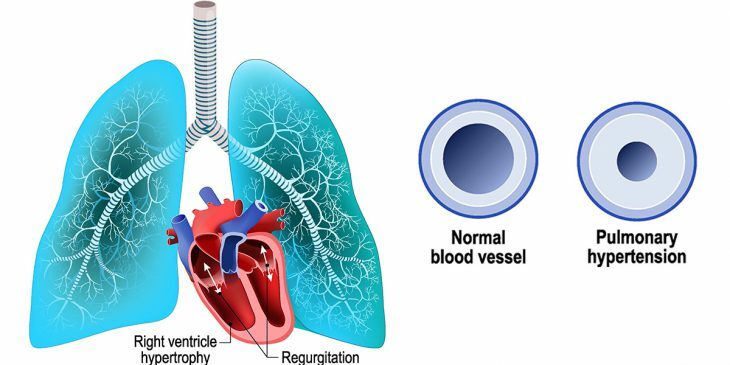 Pulmonary hypertension (PH) is a deadly disease of the blood vessels of the lung that presents with shortness of breath, exercise intolerance and can progress to heart failure and death. PH in general affects more than 10 M Americans alone with much greater numbers worldwide. While there are some medications for specific types of PH, there is no treatment that prevents or reverses the disease and there is no cure. This stems largely from the fact that we know very little about true origins of the disease at the molecular level. But, if we could make progress in that regard, much more effective strategies could be developed to detect and treat this deadly disease. Importantly, it has been known that mutations in a gene called BOLA3 (BolA Family Member 3) can lead to a syndrome that results in PH in affected individuals. Prior to our work, it was entirely unclear how BOLA3 deficiency can drive PH. BOLA3 is also known to control the metabolism of the amino acid glycine, an amino acid, or building block of proteins in the body, that is known to be elevated in PH but with unclear significance to this disease. Over the course of three years, using a combination of state of the art experimental strategies including study of rare cells from BOLA3 mutant patients and special human and animal disease models of PH, the Chan lab defined BOLA3 as a crucial regulator of glycine production from blood vessels in the lung and with consequent impact on PH development. These results provide a molecular explanation for the puzzling clinical and genetic associations linking pulmonary hypertension with high glycine states, such as those driven by BOLA3 mutations. Based on these results, future work can now be envisioned to utilize glycine as a testable marker to diagnose PH, perhaps even early in the disease process. Furthermore, altering glycine metabolism or exogenous depletion of glycine could be explored as a therapeutic maneuver. Finally, this work support the growing likelihood that genetic testing of mutations that predispose to pulmonary hypertension could be instrumental in identifying the presumably large, but currently undefined, population of individuals at-risk for developing PH worldwide. Yu Q, Tai YY, Tang Y, Zhao J, Negi V, Culley MK, Pilli J, Sun W, Brugger K, Mayr J, Saggar R, Saggar R, Wallace WD, Ross DJ, Waxman AB, Wendell SG, Mullett SJ, Sembrat J, Rojas M, Khan OF, Dahlman JE, Sugahara M, Kagiyama N, Satoh T, Zhang M, Feng N, Gorcsan Iii J, Vargas SO, Haley KJ, Kumar R, Graham BB, Langer R, Anderson DG, Wang B, Shiva S, Bertero T, Chan SY.